The Automotive Recyclers Association of New York works to further the used automotive parts recycling industry and its beneficial effects on society by supplementing and supporting individual firms and affiliated associations. We provide services and programs for the state and national scope. ARANY is comprised of individuals, firms, partnerships or corporations licensed by the New York State Department of Motor Vehicles and local government. We are primarily engaged in the business of automobile and truck dismantling and recycling of used auto parts within the boundaries of New York State. Our associate members are engaged in allied businesses, engaged in licensed dismantling in another state, supply goods and services to a member of ARANY and are all supportive of the aims and goals of ARANY! Our Board of Directors take great pride in the prosperity, business and concerns of all ARANY members! Our Membership Year Began August 1st! 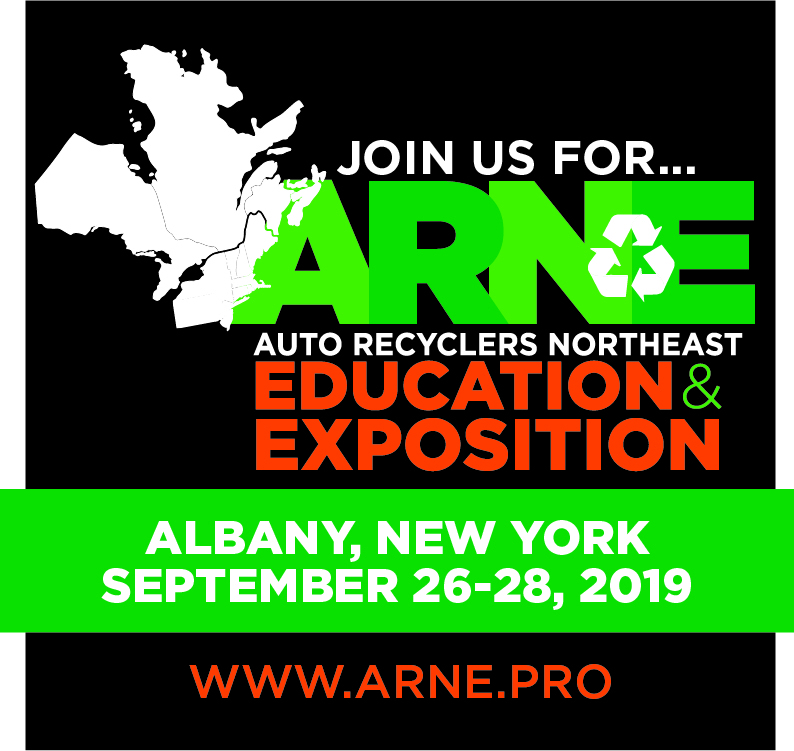 ARANY had a successful 2017–2018 Membership Year, hosting a successful event with the Inaugural Auto Recyclers Northeast Convention & Trade Show, then we prepared for our 57th Annual Convention & Trade Show in Rochester, NY! Great seeing those who were able to make the Convention & Trade Show in Rochester this September. As we begin 2019, we are planning for the 2nd Annual ARNE Convention & Trade Show...expanding our footprint and adding PRP-NE to our partnerships! To take part in these activities in the 2018–2019 Membership Year, we encourage you to join our membership today! In addition to the live events and networking opportunities, ARANY also provides its members with benefits such as The Bottom Line, our newsletter, and important updates on the industry. By joining ARANY, you are adding strength to our association and giving us a greater voice in protecting our industry — our livelihood. Through your active membership, you are giving back to the industry! If you have any questions about ARANY and all it offers, please do not hesitate to contact us. We will be back at the Albany Capital Center to host the 2nd Annual ARNE Convention & Trade Show with our partners from across the Northeast and Canadian Provinces. New for 2019! ARNE and PRP-NE are coming together for maximum reach to automotive recyclers across the Northeast!